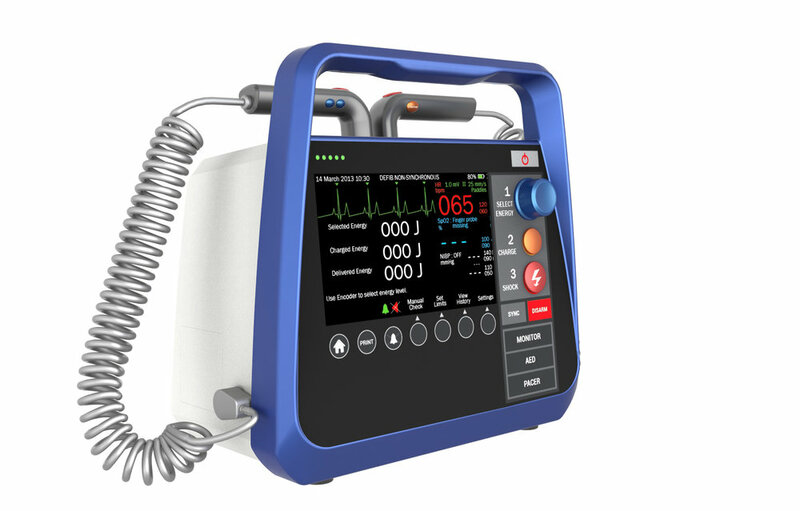 Ortus is a five parameter manual external defibrillator that was designed as part of my sponsored thesis project under the guidance of Neodes, a medical device focused design firm based in Pune, India. The project was to understand the usage of a defibrillator in different scenarios and develop design concepts making the product compact and user-friendly while also creating a distinct design and brand language for the client—Nasan Medical, a technology company—to differentiate from competitors. A defibrillator is an electrical device that provides a shock to the heart when there is a life-threatening arrhythmia present called ventricular fibrillation. This is a very rapid irregular and erratic beating of the heart due to which the heart can’t contract rhythmically. The defibrillator provides a shock which depolarizes a critical mass of the heart muscle, terminates the arrhythmia, and allows normal sinus rhythm to be re-established by the body’s natural pacemaker. Opportunities for intervention were identified from the user study and contextual research and were divided into four categories : Communication, Usability, Safety and Performance. Each of these were then put into comparison with every other one to arrive at a hierarchical list of must-have, good-to-have and low priority features. IEC and ISO standards were also studied to understand the regulatory aspects of medical devices globally. The form exploration involved sketching and foam mockups taking cues from current medical devices. The final form was arrived at keeping in mind the legacy of existing defibrillators so as to be recognisable as one and not lead to confusion among users.